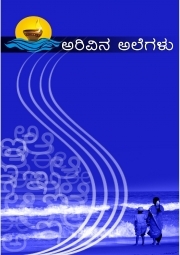 Description of "ಅರಿವಿನ ಅಲೆಗಳು | Arivina Alegalu (eBook)"
Arivina Alegalu - is a first Kannada e-book on Free and Open Source Software (FOSS) that makes technology accessible to even those who are confirmed e-illiterate. The e-book has chapters which explains, in the manner of a user-friendly manual, how one can adopt FOSS technology, switch from Windows to Linux, start getting involved with community and develop software, secure the computer and find new tools to not only increase productivity but also for education or fun. It has an interesting article that sums up the famous essay by Eric S. Raymond, The Cathedral and The Bazar , on software engineering methods based on his experiences in managing an open source project, fetchmail. Arivina Alegalu - is an effort by a team of FOSS enthusiasts from Karnataka - We at Sanchaya, believe in reaching out to common man with our knowledge, share it and explore possibilities to make life better. Reviews of "ಅರಿವಿನ ಅಲೆಗಳು | Arivina Alegalu (eBook)"